Traveling and cigars, two of our biggest passions, have found common ground and a way to make transporting cigars more practical: Davidoff Cigars‘ revolutionary Travel Humidor, is the ultimate high-performance cigar accessory for aficionados on the move. Talking from personal experience, we can say this is one must-have piece of light “luggage” you wouldn’t want to leave behind. The innovative Travel Humidor makes sure that smokers who do not want to part ways with their cigars while traveling can keep their prized possessions close and fresh, whether on a plane, roaming a new city or climbing a mountain. 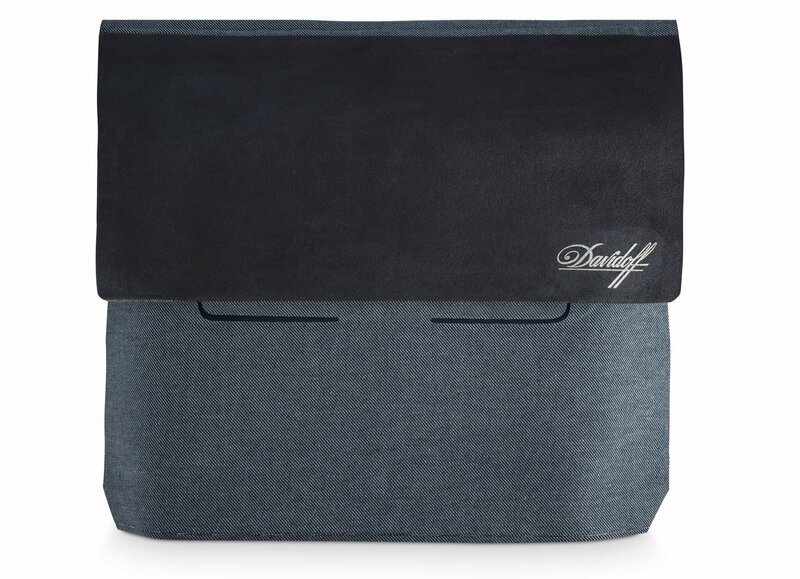 Davidoff collaborated with Italian designer and craftsman Marcello Bottino, who specializes in welding techniques and innovative textile design while exploring new materials and solutions, to create this refined accessory that offers a practical and protective solution for traveling with cigars. The marvel humidor has many key features that increase its appeal beyond its stylish look: made with durable, lightweight materials, it only weighs between 600g-700g and doesn’t wear out. 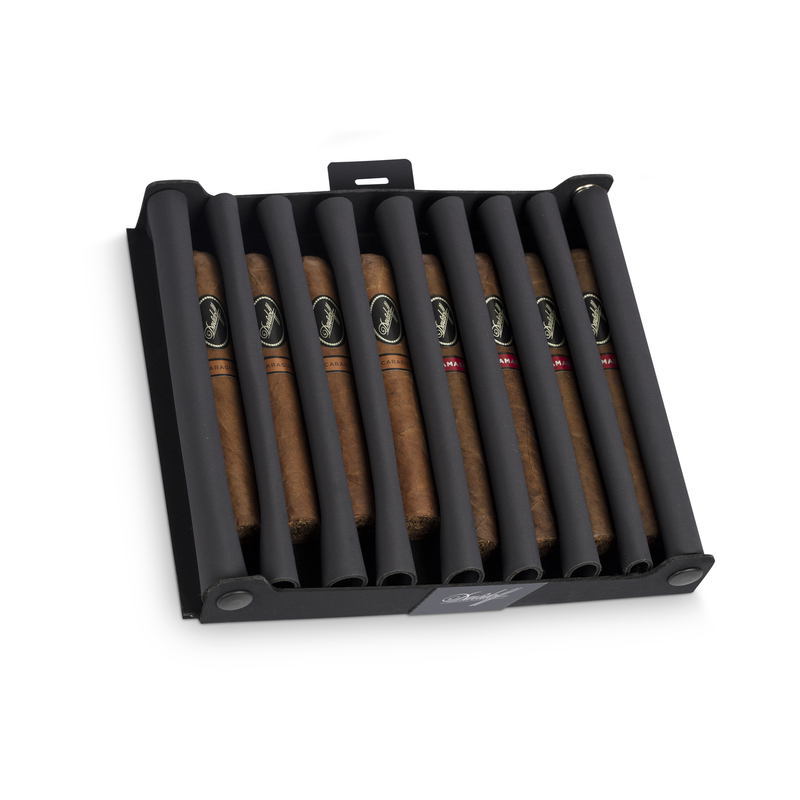 The smart, removable inner tray was engineered exclusively for cigars, allowing storage for 8 cigars, and is adapted for large and small cigars. Specially crafted with high fabric waves, it prevents the cigars from being crushed, while the soft fabric preserves the cigar wrappers. Putting technology at the service of fine cigars, the brand achieved ideal humidity level inside the humidor by welding together all the materials with the most innovative sealing properties, from strong magnets to multi-layer construction using laminated fabric. When closing the bag, the snap sound made by the magnets and the air-filled “cushion” effect ensure the best-ever protection for cigars. Thanks to the Davidoff humidification system, humidity is released slowly and evenly, keeping the cigars fresh and moist for approximately three weeks. The color-coded hygrometer on the humidification system facilitates quick and easy checking of the humidity level. The Travel Humidors in this line reflect the daring explorer spirit of aficionados on the move. They come in three different designs, all full of character: Explorer, for the young, urban explorer, available in Alcantara® and jeans fabric; Outdoor: rugged materials that will evolve with time, available in leather and canvas); and Business, with a more formal but still edgy look, available in leather and wool. 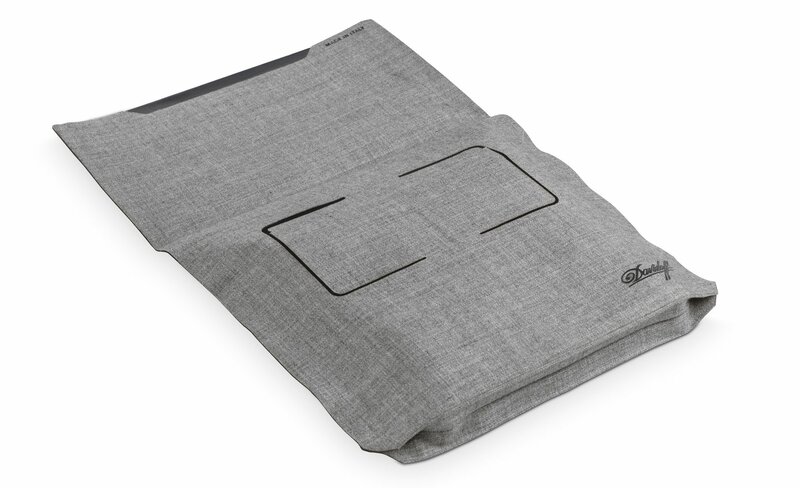 Each Travel Humidor also has two pockets which are located under the flap, allowing the user to store accessories such as a lighter, cutter and matches. We’ve enjoyed the travel humidor while traveling and driving, and it’s safe to say your cigars will remain safe and fresh just as they would in your humidor at home. Next Post Superheroes Right On Time!